Engineering Mathematics, Discrete Mathematics, Graph Theory, Complex analysis, Univalent functions. 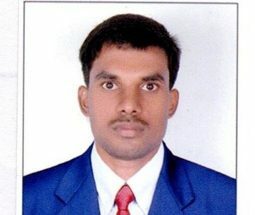 Prof. Puneeth has secured the 9th rank in B.Sc. and the 1st rank in M.Sc. in Computer Science from Government Science College, Chitradurga under Davanagere University. He has worked as assistant professor in the department of Mathematics in AMC Engineering College, Bangalore. Currently he is pursuing for his Ph.D. from VTU.